Hardwood enclosures and high-quality driver materials produce a natural sound. The speakers are enclosed in 15 mm birch plywood cabinets to deliver a natural, dynamic sound. Pioneer's patented AFAST technology drastically reduces standing waves that can produce a muffled response in the low to mid ranges. An acoustic tube in the cabinet absorbs just the standing waves, increasing the low frequency response. Powersoft's new Class D amp modules produce 2400 W (peak) or 1200 W (continuous) output, similar to that of larger stand-alone speaker amplifiers. The amps are equipped with Power Factor Correction (PFC) to reduce power consumption while ensuring reliability and a steady performance in all environments. The auto-ranging power supply means you plug in the XPRS Series anywhere in the world - including venues with generators or temporary power supplies - and expect the same high quality sound. We've packed the speakers with features to protect the driver, amp and power supply - giving you peace of mind, consistent high quality sound, and extending the life of your sound system. - Thermal limiting: cuts off to prevent overheating. - Output overcurrent: reduces the speaker's output to safe levels in the event of output overcurrent. - DC offset removal: shuts down to prevent further damage if the speaker blows. 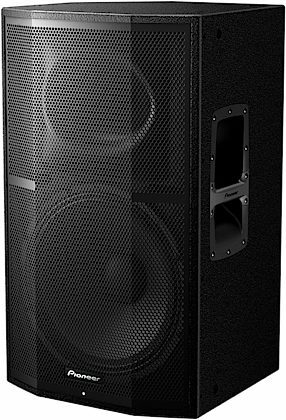 - Stationary High Frequency Protection: protects the speaker from loud bursts such as feedback. - Input voltage limiter: Peak and RMS. - Output voltage limiter: cuts the LF and compression drivers separately when either reaches their peak. - AC mains over-voltage protection: protects against power surges. Plus the status LED on the front of the cabinet can has three settings - power, limiter or off - giving an optional visual reference to the status of the speaker. - Flat: neutral production of the source audio. - Bass +: amplifies the bass for dance music events. - Speech: produces clear vocal sounds for seminars and speeches. 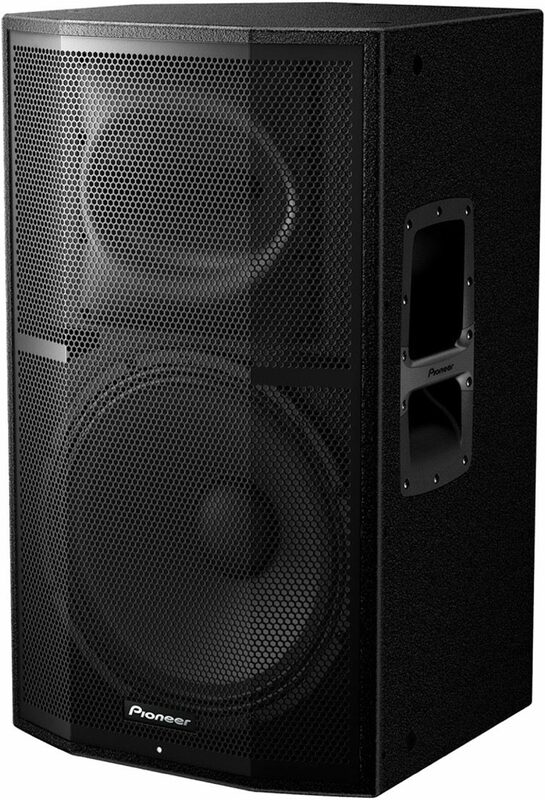 - Wedge: reduces the low frequencies to give a more balanced sound if you're using the speaker as a floor monitor. - The speakers' horn gives a dispersion of 90 x 60 degrees and can be rotated by 90 degrees - giving you flexibility to mount the speakers vertically or horizontally to choose the coverage to suit your space. The speakers have two balanced XLR/TRS combo sockets and an unbalanced RCA connection, so you can connect a MIC and other external devices at the same time - including using an AUX cable to connect and play directly from portable audio players, line-level mixers and tablets/smartphones. Each input can be controlled individually or using the master controls for lines one and two. Plus two balanced XLR through output terminals enable easy connection to other speakers and subs.